POETRY CLUB December Poetry Image Poetry Muje Ab Farq Nahi Parta December Beet Jany Ka ...! Muje Ab Farq Nahi Parta December Beet Jany Ka ...! 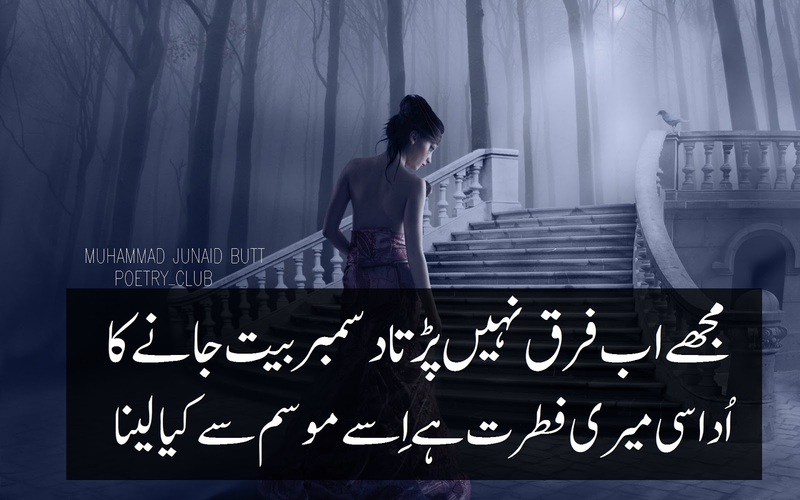 Udaasi Meri Fitrat Hy Ise Mosam Se Kia Lena ...! December is the 12th and last month of an English Year and it comes after November. This month has own significance with respect to poetry because some of people says that this month is the sign of sadness for lovers. There is a lot of poetry on December month in every language but most of the poetry has been written in Urdu and English. On Poetry Club blog we will share top December Poetry and Quotes with you in both Urdu and English languages.